When you meet someone new, finding out their credit score is typically not your go-to first date conversation starter. In the whirlwind of new romance, money matters tend to remain ignored. It is often much later in the relationship—after a couple has already become financially entwined through marriage or the sharing household bills—that financial issues come to the surface. You may be surprised to find out your spouse has accrued a substantial debt that you had no idea about. When facing this startling new information, it may be difficult to know how to move forward with your partner. Here are some tips to dealing with a spouse who has debt. In situations like this, emotions can run high. You may feel lied to or betrayed by your partner for concealing their debt. Breathe through your initial reaction. When people feel attacked they tend to shut down or become defensive. 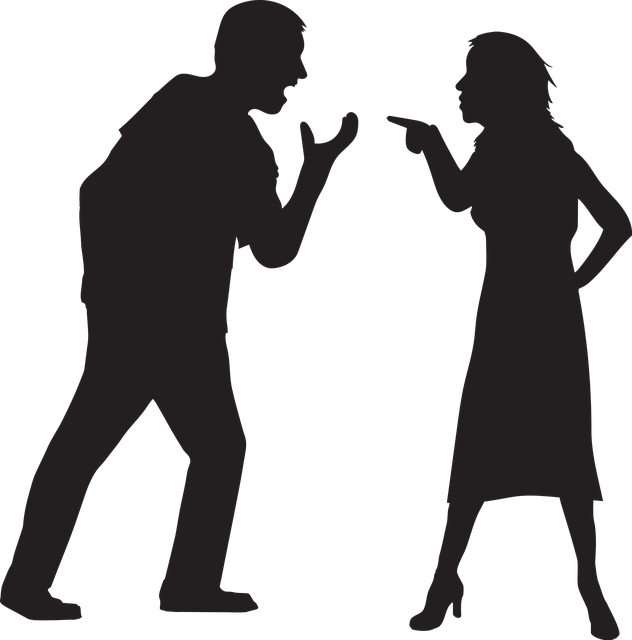 Keeping an honest, open space for communication with your spouse will allow you to move forward to fix this problem together. This also goes for making judgements about their current financial choices. If you see your spouse making consistent efforts towards paying off a debt, don’t chide them for their purchase of a new pair of shoes. Paying off debt is a process that you cannot expect your spouse to complete overnight. Keep in mind that debt accumulates for many reasons and a past debt does not necessarily mean your partner cannot be financially responsible now. Maybe they were overzealous with their first credit card or are struggling with student loan debt. Unemployment, divorce, and medical expenses can also add up quickly. Don’t judge too harshly until you have the full picture of your spouse’s debt. The amount of debt your spouse has makes a difference, so it is important to know the exact number they are currently working to pay off. How your partner is paying off the debt matters, too. Is the repayment situation short term (over a year or two) or long term (5-20 years)? If it is a long term repayment plan, you can expect this debt to impact your life together for years to come. This is also the time to check your spouse’s credit report with them. This will give you the full picture of any late payments, high balances, legal judgements, or bankruptcy filings they may have. Many people assume that once you get married, you automatically take on your spouse’s past debt. This is not true. Your credit histories will remain separate for any debts or financial troubles that occurred before your marriage. New Jersey is a common law state, meaning that even after marriage you’re only responsible for debt accrued in your name. This changes once you open joint accounts, apply for joint credit, cosign on loans, or include your spouse on an account as an authorized user. These actions will show up on your credit report and you will be responsible for the debt. If at any point your spouse cannot make payments, even if it is on debt they personally accrued (after the date of your marriage), you will be responsible for the full payment of the debt. Your spouse’s debt, and its impact on their credit score, may make it difficult for you to make big purchases together for the duration of the repayment period. Depending on how much debt they have and how low their credit score is, you may be looking at taking on the full weight of big purchases for awhile. You may be hesitant to apply for joint credit, cosign, or add them as an authorized user on your accounts. Have an honest conversation about how you will make big purchases together going forward. At Veitengruber Law, we know the stress of large debt can create a lasting impact on marriages and families. Our experienced legal team can help you sort through the debts and create a future path that looks bright. Our comprehensive approach to resolving debt problems can help relieve the stress on you and your spouse. Can I be Approved for a NJ Mortgage with a Bad Credit Score? A lot of people with a bad credit score assume it is impossible to become a homeowner. A low credit score can definitely make it harder to get a new credit card or any type of loan, including (and especially) a mortgage loan. If the one thing standing between you and home ownership is your credit score, don’t give up hope. It is possible to get approval for a NJ mortgage with a low credit score. What is considered a “bad” credit score to mortgage lenders? Different lenders have different criteria for loan applicants. 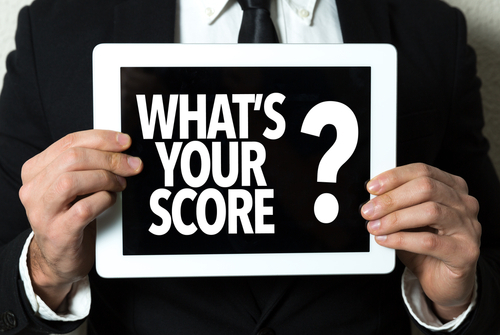 The lower your score, the more likely it is that potential lenders will see you as a risk. If your score is somewhere in the middle—between 620 and 740 (approximately)—there is a little more wiggle room. While you will likely face higher interest rates and be restricted in how much you can borrow, you should still be able to secure a mortgage loan without much issue. Generally, if your score is under 620, you will not be able to get a loan from a traditional lender. But that doesn’t mean you have no options for getting a loan; it just means you will have to go through less traditional lenders. One option for borrowers with low credit scores is to go with a private lender. Mortgages through private lenders often come with higher interest rates and more substantial minimum down payments for borrowers with bad credit. You also may have to do a little more work with a private lender, like providing additional paperwork that is typically not required with a traditional lender. It’s important to do your due diligence when going through a private lender. Shorter payback periods and higher interest rates can make it difficult to make your monthly mortgage payments. Make sure you will be able to make timely payments in full for the duration of the loan. Another possibility is a Federal Housing Administration (FHA) loan. If your credit score is at least 580, you can qualify for an FHA mortgage with 3.5% down. With a score between 500 and 580, you will need to put at least 10% down. The cutoff for credit scores with an FHA loan is 500. Downsides to an FHA loan include: high interest rates and a mortgage insurance premium of 1.75% as well as monthly insurance premiums. If you pay less than 10% of the loan for your down payment, you will have to pay these monthly insurance premiums throughout the life of the loan. Sometimes it’s possible to make up for a bad credit score in other ways. You can offset the risk of the loan by offering to pay a bigger down payment. While first-time home buyers typically put down 6% or less, making a 20% or more down payment could encourage lenders to approve your application despite a poor credit score. Plus, the more money you put down, the lower your monthly payments will be. Another option is to enlist the support of a co-signer. If you have a close friend or family member with a great credit score, they could help you secure a mortgage loan. This is not a commitment to take lightly, though. While the mortgage is in your name, the co-signer will be equally responsible for any payments. This means if you miss a payment, their credit will be negatively impacted. Working with a co-signer requires a lot of communication and trust. If your goal is to buy a property but your credit score is poor, the best thing you can do is take the time to rehab your credit score. The higher your credit score, the better chance you’ll have of working with a traditional lender. Working with a traditional lender means your down payment, interest rate and monthly payments will be lower. Regardless of your situation, Veitengruber Law can help you determine which path to home ownership is best for you. No Debt vs College Degree: Which Wins? If you’re strategizing to keep your debt burden low throughout the first phases of your adult life, you’re probably considering whether or not it’s worth it to assume a large amount of student debt. After all, 70% of college graduates leave their alma mater with a burdensome level of student debt. Today, more than 44 million US residents are struggling to repay a collective $1.5 trillion in college loans alone. For many people, a college degree is a necessary step toward creating the adult life they’ve dreamed of, and assuming some level of student debt is likely unavoidable. However, it’s absolutely imperative that students fully comprehend the long-term impact of the loans they’re agreeing to. If a college graduate is unable to repay their loans in a timely manner, or doesn’t prioritize repaying them, financial disaster looms ahead. Graduates face severe financial penalties for not repaying their loans, including additional fees, mounting interest fees, potential wage garnishment, and negatively impacted credit ratings. Keep in mind that New Jersey is not an inexpensive place to live, so if you play to return to your home state after school, you’ll need a savvy financial plan to do so. The following quick guide will help you determine whether the cost of student loans will make sense for you in the long term. The answer to this question varies from individual to individual, so it’s a decision you’ll need to make for yourself. Carefully weigh the pros and cons, advantages and disadvantages, and do your best to make the most beneficial decision for your situation. Remember, too, that if you do end up (or have already ended up) with a significant amount of college loans, it’s going to be okay. You’re not alone by any means; as we’ve discussed, 1 in 4 adults in our country are still repaying their loans. Student loans can make college possible, or make it possible for you to attend a school that would otherwise be unattainable. If a student loan makes the difference between you attending your dream school or a local state school, it may well be worth it to bridge the gap with a loan. 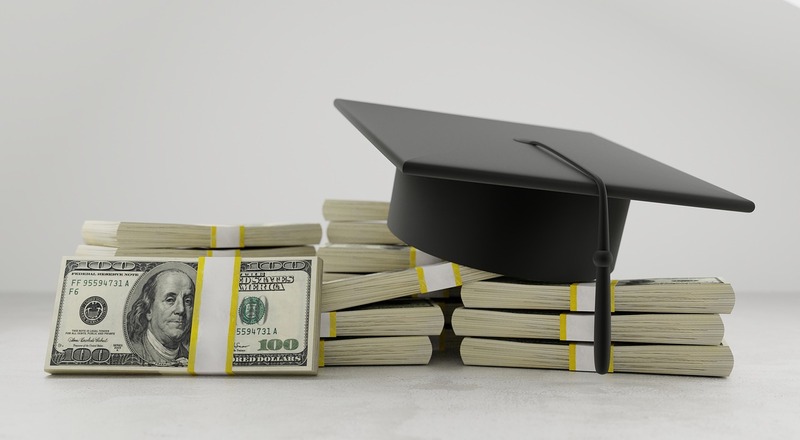 In certain fields, if pursuing a higher quality (or more widely respected) education positions you to earn significantly more over the life of your career, then your student loans may represent only a small fraction of your potential earnings. In such situations, assuming responsibility for a larger loan is almost certainly worth it. Study hard, network with grace and skill, and set yourself up to bring home the kind of money you’ll need. Student loans can be spent on more than just tuition. Choosing a student loan may make the difference between you having to work full-time during your education and instead having the luxury of focusing solely on your studies. You can use student loans to pay your rent or car payment, purchase a laptop and textbooks, or even just buy groceries. Postponing your financial troubles until after you graduate can have a positive impact on your mental health and resources during the few years you’ll have to pursue your education goals. Remember, too, that even though student loans are pretty terrible, they’re still more affordable than credit card debt or other high-interest personal loans! Paying off student loans on time will help you build credit. You’ll need a positive credit rating to get a good interest rate on significant purchases like a car or home, so having this opportunity to build credit right out of college can be very positive. Please be aware that you will need to make prompt payments every month in order to benefit from an improved credit score. Interest is a pain in the neck. When you repay your student loans, you’ll be repaying the amount you initially borrowed plus the interest that’s accrued over the years you’ve been in college. As of 2018, interest rates on student loans range from 4.5% to 7% for federal to 11% – 15% for privately-held loans. If you choose high-interest student loans, the interest rates can be almost as disastrous as those on credit cards! If you can afford college without assuming any student loans, clearly it is in your best interest to do so. Choosing student loans will mean that you’ll begin your adult life with debt. Your financial freedom will be significantly impacted by this burden; you’ll probably need to delay other life goals like home ownership or international travel until you’re able to pay off a significant portion of your student debt. Home prices in New Jersey don’t show any signs of halting their steady climb, so delaying your entry into the housing market could mean paying as much as tens of thousands more for your first home. It is nearly impossible to discharge student loans without paying them directly. Unlike many other kinds of personal debt, student loans cannot be eliminated by declaring bankruptcy. If you assume responsibility for a student loan, you will have to repay it. Missing payments on your student loans can destroy your credit score, which will negatively impact your financial opportunities for many, many years to come. You’ll have difficulty renting or purchasing a home on your own, applying for a loan on a car, and could even lose your job along with your financial credibility. The truth is that student loans can be a net positive in your life and can be relied upon to help you create a better future for yourself and others. In real-life application, though, slow job growth, high interest rates combined with punitive laws preventing struggling graduates from discharging their debts through bankruptcy, and skyrocketing tuition prices are factors that work against even the most well-intentioned students. That’s why if you do decide to assume student loans, it’s important that you try to live frugally and limit the amount of debt you need to take on. If you can work part-time and still maintain your grades, consider doing so. Purchase clothing second-hand when possible, for example, and keep your wardrobe streamlined until you have more financial freedom. 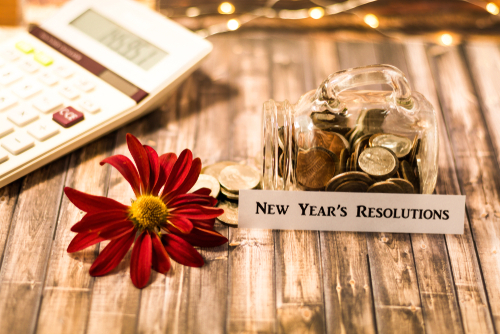 You’ll find that the fiscally wise habits you can cultivate during these lean years will serve you well in the future, even after you’ve paid off your debts. Remember that being conscious and intentional about your spending is always a healthy decision. Frugality is never something you should be ashamed of! As society shifts from the use of tangible papers to swiping a tiny piece of plastic to make purchases, credit is pushing closer to the forefront of the realm of finances. Despite the satisfaction of handling cash in the checkout line, credit cards, whether we like it or not, are becoming the norm. Along with owning credit cards comes the inevitability of your credit score. Good credit holds more significance today than it ever has before. Many people simply don’t realize how impacting a credit score can be, especially when it comes to real estate decisions – even renting. If you’re considering renting an apartment or house, know that the first thing a landlord will set eyes on is your credit score and report. 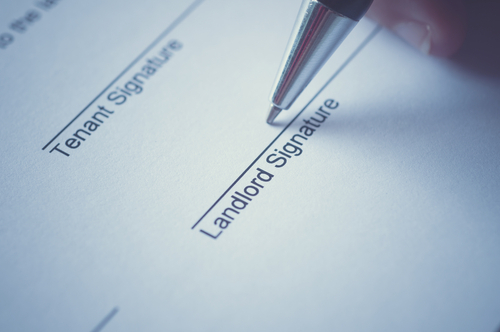 When you complete a tenant application form, you provide a variety of information about yourself, but typically it’s not enough for most landlords to make a solid decision. This drives the landlord, property manager, or rental agency to hike one step further into your personal information. The main reason to check an individual’s credit history is to review one’s capability or incapability of paying rent. A landlord doesn’t want a renter who will never pay rent on time. Every time that a potential lender checks your credit, it will appear on your credit report. Too many checks will damage your credit score, decreasing your chance of acceptance to rent anywhere. Be careful not to apply to too many places at one time. Many inquiries in a short amount of time is looked down upon as it can imply repeated rejections and/or reckless financial behavior. It’s possible that some credit score models will combine multiple inquiries into one, which will prevent you from getting penalized for “shopping around,” but this cannot be guaranteed. Landlords prefer to have renters who are clean: clean house and clean credit. Obviously, if you have good credit and an adequate history, there shouldn’t be any reason that your application wouldn’t be accepted by the landlord. On the other hand, if your credit score does not meet the landlord’s standards, they could outright reject your application. It’s also possible that they may require you to pay a larger down payment or find a cosigner. Our credit history defines who we are, therefore landlords may be hesitant to offer you residence if your score is less-than-stellar. In the past, making credit payments on time didn’t boost your credit score (because they weren’t given to credit agencies), but thankfully that has changed. If your landlord reports your on-time payments, credit bureaus will include it in your credit report. 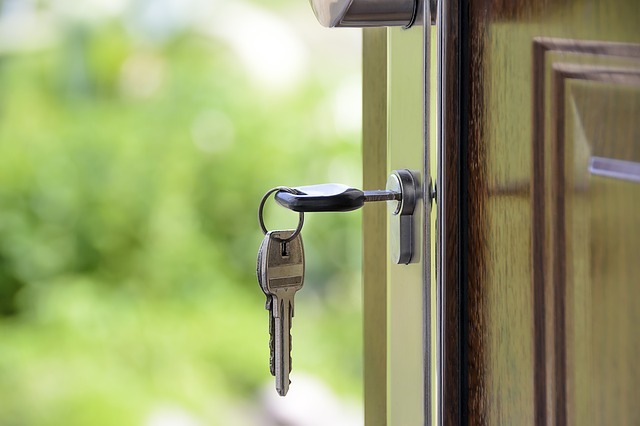 Because more and more rental agencies are reporting positive rental history, renting responsibly can now have a positive effect on improving your credit score. Keep in mind that missed and late payments will also show up on your credit history. A tenant-screening report will show an eviction if you’ve had one. This is different than a credit report, and typically shows up in the rental application process. In the likely chance that your landlord sends missed payment updates to a debt collector, it will show up and remain on your credit report for 7 years in addition to 180 days from when you began missing payments. Don’t put yourself in this position. Make payments on time. Having trouble making payments? Give us a call and let us give you a FREE holistic debt evaluation. What else can credit score affect? Cell Phones: The one item that seemingly everyone has today is a cellphone. Believe it or not, your credit score can influence whether or not a phone company offers a service plan to you. It is possible to acquire a plan that doesn’t necessitate a credit check, but be aware than a phone service application may initiate a hard inquiry. Remember, all hard inquiries show up on your credit report and could potentially lower your credit score. Auto Loans: The majority of people need to take out a loan in order to purchase a car. Obtaining and acquiring a loan is affected by your credit score. Taking it one step further, the amount of the loan and the interest rate are dependent on how well you measure up. In this case, it’s best to shop around for the best auto loan rates. Though it’s true that several inquiries can damage your credit score, a majority of credit scoring models will regard multiple auto loan inquiries in a short period as a single inquiry. Though this article discusses only three crucial parts of life that are influenced by credit scores, there are a myriad of others. It’s so important that we aim to make payments on time and not take part in other activities that will cause destruction of our credit score. Like anything else in life, your credit score needs consistency and some TLC for it to thrive. What (all-too common) crime can happen to you without your knowledge, making virtually everything in life more difficult? Two dreadful words: Identity Theft. Unlike some medical diseases, identity theft doesn’t discriminate; it can strike anyone at any time. 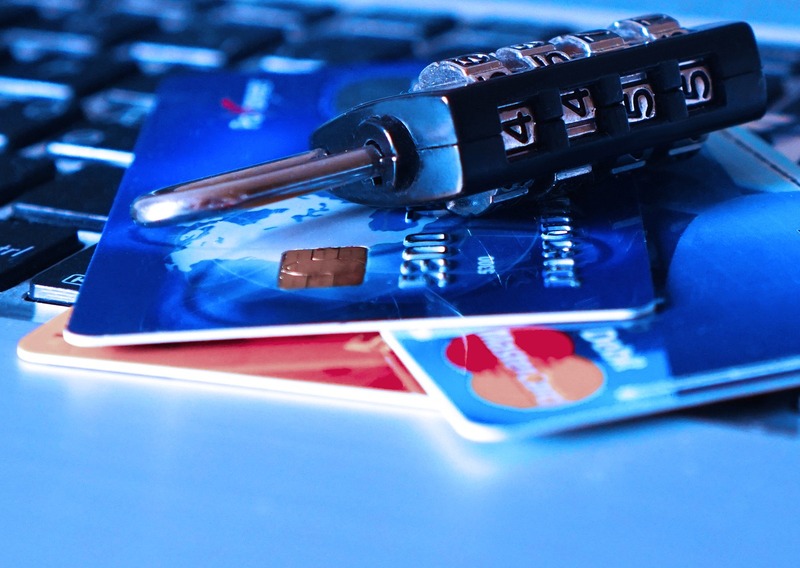 The worst part about being a victim of identity theft is that it can have a seriously negative impact on your credit score and it can prove to be difficult to fix. More people than you realize have been severely impacted by identity theft. When an impostor uses another person’s identity to make a purchase and fails to pay the bill, a storm cloud rolls in. The scammer has zero intent to ever pay the debts they accrue under your name; therefore, you’re left to clean up the aftermath. You may not even realize that your identity has been stolen until a credit agency contacts you. By this point, your credit has likely already taken a major hit. Adding a new account to your credit report or getting a new loan shouldn’t affect your credit score as long as you aren’t adding a plethora of new accounts all at once and you’re making regular payments. However, when an impostor opens a new account in your name and fails to make any payments, your credit score will slowly begin to tank. Every month that passes without payment received will lower your credit score further. If an identity thief is applying for new credit with your personal information, the lender is going to check your credit report. These are known as credit checks, or “hard inquiries” – each of which show up on your credit report. Each inquiry will affect your credit score by dropping it a couple of points. Your score will drop because credit scoring models regard “hard inquiries” as a sign that the consumer is shopping for credit. After no action occurs for 6-12 months on an unpaid debt, the lender will turn it over to a collection agency. This causes a “second action” to be taken, and a collection account will appear on your credit report. Unfortunately, this will have an extremely harmful effect on your credit score. Often, medical identity theft leads to the appearance of a collection account. This occurs when an impostor uses your identity to obtain medical services or treatment, but has no intention of paying the bill(s). Another significant piece that counts toward your credit score is the amount of debt you carry. When the scammer “goes shopping” and adds charges to your account (unnoticed), your overall amount of debt rises. Even if the scammer opens a phone plan or house utility but doesn’t pay the bill, the provider will report it to the credit bureau. A negative ding will appear on your report, damaging your credit score. A continuously increasing amount of debt will continuously drop your credit score. The higher your credit utilization ratio, or the amount of your available credit that you use, the lower your credit score will fall. In every state except California and Massachusetts, auto insurers utilize your credit score to set rates. A low credit score can cause a 20 to 50% increase in auto insurance premiums. Even if you have a depressed credit score, an insurer can’t reject you, but they do have the ability to hike up your premiums without an explanation. Nobody wants to find out that their identity was stolen, but it can and does happen. Being knowledgeable and prepared as to how it can affect you is crucial. If you’ve been the victim of an identity thief, Veitengruber Law can help you deal with the emotional and mental frustration as well as the financial damage that has been done. No matter how low your credit score has gotten – we will guide you through getting it back to a respectable number again. In today’s economy, it is imperative to maintain a decent credit score. There are many reasons why you simply must work to repair your credit if it is currently less than fair (below 560-580.) A higher credit score will allow you to obtain a higher credit line. Also, if you have an excellent credit score, you will receive offers for credit balances with lower interest. A better credit score will also empower you with more buying power, so you can purchase a house, car, or make other large purchases. There are a multitude of things you can do to improve a low credit score. Six of the most important steps are detailed below. Pay your bills on time. While this may seem like an obvious course of action, it is extremely beneficial to improving your credit score. Conversely, if you do not pay your bills on time, your credit score will take a significant hit. Some people falsely believe that making late payments will not affect their credit score as long as they aren’t MISSING payments. It’s important to realize that late payments will incrementally drop your score. Maintain an appropriate debt-to-credit ratio. This is a way for creditors and lenders to see that you are able to use your credit responsibly. Your debt-to-credit ratio is essentially how much money you owe creditors compared with your overall available credit. For example: If your overall debt (money you owe creditors) is $10,000, and your total available credit is $20,000, your debt-to-credit ratio is 50%. A low debt-to-credit ratio indicates that you are not overspending. It also shows that you are closer to being able to pay off your debt than if you owed a higher percentage of your available credit line. Pay more than the minimum balance due each month. This shows that your income is steady and you have more purchasing power. Plus, when you make more than the minimum payment each month, you will be able to pay more on the principle amount due as opposed to simply paying off interest. Avoid opening too many accounts in a short amount of time. The rationale for this step is that more inquiries indicates to creditors that you may be in serious financial trouble. Even if you aren’t approved for every account you apply for, there will be credit inquiries made each time you apply that will ding your credit report. Pay off your balance instead of transferring debt to other credit cards. Not only do most balance transfers typically involve a fee, but this can lead creditors to view you as a volatile debtor who simply shifts debt around rather than actually paying it down. Keep a keen eye on your credit report. If you discover any errors, you should immediately report the issues to the reporting agencies and have them rectified right away. This should be completed at least once per year. If you find errors on your credit report that the agency(ies) refuse to remove, take legal action in order to prevent false information from dragging your score down unnecessarily. Following these steps to repairing your credit score are excellent ways to start planning for the future. 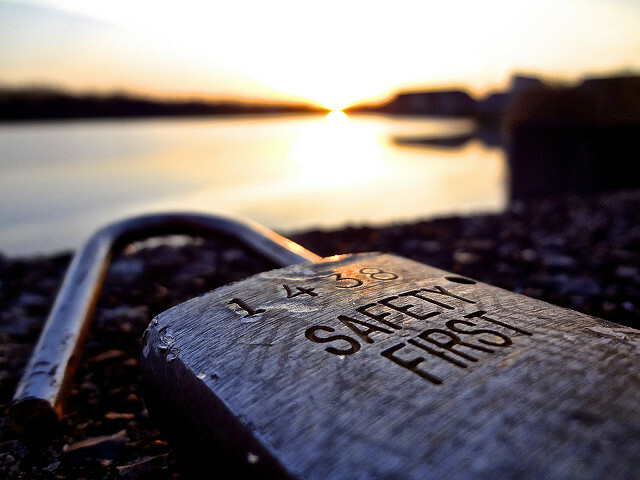 Knowing that you have financial security will improve your overall health and well-being. While there are many other steps you can take to improve your credit score, this list is a basic overview of the most trusted ways to achieve your goals. When hear the word ‘credit’, a number of images may pass through your mind. Maybe you think of a situation in which someone owes you money or perhaps you picture a bank. You may consider your education and the credit you received for each assignment or even a situation at work where you deserved credit for your hard work or a good deed. If you’re involved in the financial world, your mind might immediately jump to credit scores: good credit, bad credit, and everything in between. No matter what you envision when the conversation turns to ‘credit,’ toss in a bit of everything mentioned above and you’re on your way to completing the puzzle of what’s known as a ‘credit score.’ A credit score is a three-digit number that is computed using an algorithm and is based on information gathered from your credit report. Its purpose is to predict risk. Ultimately, your credit score represents the likelihood that you will neglect your credit obligations in the next 24 months. Though there are a multitude of credit-scoring models that are utilized, the most well-known is the FICO credit score. According to myFICO.com, 90 percent of all financial institutions throughout the United States use FICO credit scores when making a number of important decisions. The three-digit number ranges anywhere from 350 to 800, with the lower number representing a less-desirable credit score. How do you avoid ending up with a low credit score? What factors play into the algorithm? There are five categories that influence a credit score. The percentages represent the weight of each factor in determining the score. · Payment history (35%): Paying your bills on time is crucial. By not paying your bills by the deadlines, you will cause your credit score to decrease. Also involved in this category are any delinquencies or public records. · Amounts owed (30%): The amount that you owe on each of your credit accounts heavily affects your credit score. Also, the amount of possible credit that you have on accounts is strongly considered. · Length of credit history (15%): The amount of time and number of accounts you have open will boost your credit score, as long as you’re paying the dues on time. · Types of credit used (10%): Having a variety of types of accounts will help you out. Two examples are revolving and installment. · New Credit (10%): How often you pursue opening new accounts and new credit, including inquiries (whether you’re approved or not), will have an impact on your score. Now that you know what goes into a credit score, you realize how malleable it really is. If you don’t give the three-digit number a little bit of TLC, it can quickly bottom out on you. On the other hand, if you are careful with your finances, you shouldn’t have a real issue keeping your credit score in line. We know that establishing or reestablishing good credit is key to a secure financial future and we want to help you move toward that goal. As you read before, many financial institutions use credit scores and reports to make decisions, manage risk, and increase profits. On the downside, they don’t have any interest in looking out for your personal credit score and overall financial health. That is where Veitengruber Law steps in. Our holistic approach to building credit is at the center of everything that we do. The guidance we provide doesn’t end with a negotiated debt solution or court case. Instead, our goal is to set you up to be a successful financial consumer with well-rounded money smarts. When your credit score drops following a short sale, a bout with bankruptcy, settlement, or other issue(s), we will walk with you to educate and counsel you. A sturdy financial foundation will give you the power to develop and maintain financial health. The only way that you will mature in your knowledge of money is to work with experienced professionals. Credit scores and financial health is nothing to mess around with. Your confidence will rest in how well the professional counsels you along this path. With years of experience working successfully within a multitude of situations, we know that we can help you no matter what kind of financial “mess” you may have landed in. Equifax Data Breach 2017: Were You Affected? Unless you have zero credit history and no report exists on file for you with any of the credit reporting bureaus, you may have been affected by a recent security breach at Equifax. Up to 150 million people (in the US alone) had their private, personal, identifying information exposed and potentially misused. This breach in security occurred only with Equifax. Neither of the other two credit reporting agencies, Trans Union or Experian, were affected. What happened during the Equifax breach? 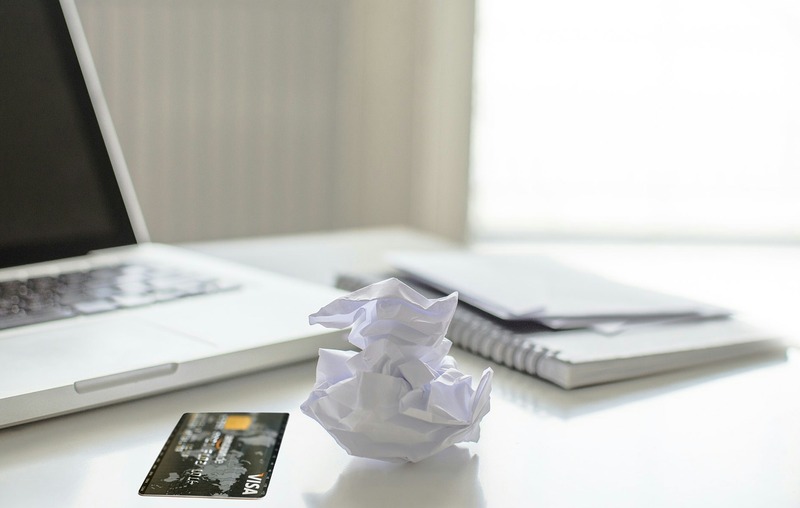 Even if you haven’t noticed any strange charges popping up on any of your credit cards, it’s important that you take action if you haven’t already done so. If any of your identifying information was accessed, the first step to righting the wrong is knowledge. How can I find out if my information was accessed? Although the general public opinion of Equifax dropped as soon as news of the security breach hit the airwaves, they deserve kudos for initiating a plan of action for those who may have been affected. They created a program called TrustedID Premier that gives consumers one year of free credit monitoring. Visit http://www.equifaxsecurity2017.com. There, you’ll be able to read details about the security breach; you’ll also be able to enroll in the credit protection and monitoring program. With two clicks, you’ll learn if your personal information was accessed, or “potentially impacted.” From there, you should move forward and initiate your enrollment in the credit monitoring program. Again, you’ll be given an easy prompt to “Enroll Now,” after you’ve determined if your information may have been affected. How can I feel safe with a company that experienced such a substantial breach? While you do have to give your name, address and part of your social security number in order to verify your identity, you can feel secure as long as you are using a secure computer as well as an encrypted network. Is there anything else I can do to protect my personal information? Aside from enrolling in the TrustedID Premier program, you should carefully read through your credit reports in their entirety. Go beyond checking your Equifax report; order a free copy of your credit report from each of the three reporting agencies. You can request all three reports at one convenient site: http://www.annualcreditreport.com. Preventing tax identity theft – A lesser known form of identity theft, tax identity theft, can occur if your social security number was stolen. File your 2017 taxes as soon as possible so that no one else can fraudulently claim your tax refund. Continue to carefully monitor all of your bank accounts and credit cards and be on the lookout for any suspicious charges. If your personal information was accessed and you discover false information on your credit report or unrecognized charges on a credit card, contact a NJ credit repair attorney immediately to protect your financial reputation from incurring any further damage.